Esteemed music journalist and author Richie Unterberger has released his top picks for music books of 2018; Reinvenitng Pink Floyd made the list. Click HERE to read. Howard Brody of StripLV has written an article based on a conversation with Bill Kopp. Click HERE to read. Bob "Cretin" Creedon of the Rara's Farm Blog interviews Bill Kopp. Click HERE to read. Bill Kopp has done lots of radio interviews lately; visit the audio archive to listen. Bill Kopp was the featured guest on The Pat Walsh Show on Sacramento's KFBK-FM. Listen to an archive of the broadcast here. A limited number of signed copies of Reinventing Pink Floyd are now available direct from the author. Ordering info is here. Reinventing Pink Floyd: From Syd Barrett to The Dark Side of the Moon is now available. You can order from your favorite independent bookstore, and it's also available from a certain mega-online retailer that sells everything. Also today, Atlanta drive-time radio Fun 101 FM's Mickey Thrasher interviews Bill Kopp about the new book. Audio is here. An in-depth Q&A with Rebeat Magazine's Michael Lynch is online now. Also today, Bill Kopp has done another audio interview, this time for the Goldmine Magazine Podcast. Go here to listen. Another audio interview! Mike Lidskin of Twirl Radio in conversation with Bill Kopp. A Fleeting Glimpse's Julie Skaggs sat down for an in-depth conversation with author Bill Kopp. They discuss how the book's concept developed as well as other interesting topics. It's the most exhaustive Reinventing Pink Floyd-related interview to date. Click here to read the whole thing. New content on the interviews page: a conversation with Yogi Lang of RPWL. Also today: Ireland's Independent has a feature in which Reinventing Pink Floyd is mentioned prominently. The March issue of Goldmine Magazine is in subscribers' mailboxes this week (and on newsstands soon). It features an excerpt from Reinventing Pink Floyd plus a special essay by Bill Kopp, "Syd Barrett's Top 10." Julie Skaggs of popular Pink Floyd fan site A Fleeting Glimpse has written the first review of Reinventing Pink Floyd. Her in-depth look at the book includes this quote: "...weaving together chronology and critical commentary, supporting quotes from historical sources, and the perspective of those involved to create an informative and interesting document of the era...one could consider Kopp�s book an essential accompanying commentary to The Early Years box set." Read the full review here. The third in an ongoing series of exclsuive interview excerpts -- featuring material not in the book -- is now online. The latest installment is a Q&A with Robyn Hitchcock; it joins previous interviews with Davy O'List and Steve Howe. You can read it here. Ray Koob of Philadelphia's classic rock station WMGR-FM interviews Bill Kopp; a stream of the 12-minute podcast interview is available here. Amy Balog of 60s Today interviews Bill Kopp. The in-depth Q&A digs into the book's background. Visit 60s Today to read it. A new interview -- the third in audio form -- with author Bill Kopp is now online, thanks to Danny of itsezbreezy.com. Visit the Audio Interviews Page to listen. There are now FOUR reading events scheduled. Visit the Book Events Page for details. 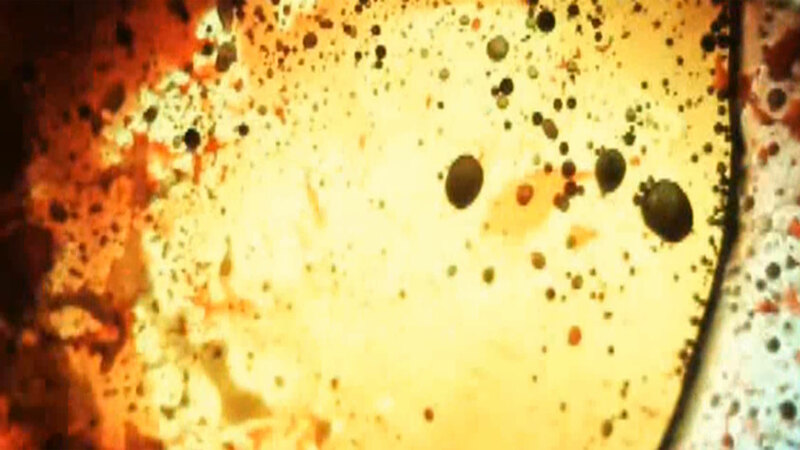 Two events -- one online, one in the three-dimensional world -- have been scheduled in connection with the publishing of Reinventing Pink Floyd. Visit the newly-added Book Events Page for details. "Kopp's excellent analysis of Pink Floyd�s post-Syd, pre-arenas era performs a valuable service to the Floyd canon." Best Classic Bands ran a story about the upcoming release of Reinventing Pink Floyd. Pinkfloydz.com ran a news item about the impending February 2018 release of Reinventing Pink Floyd. 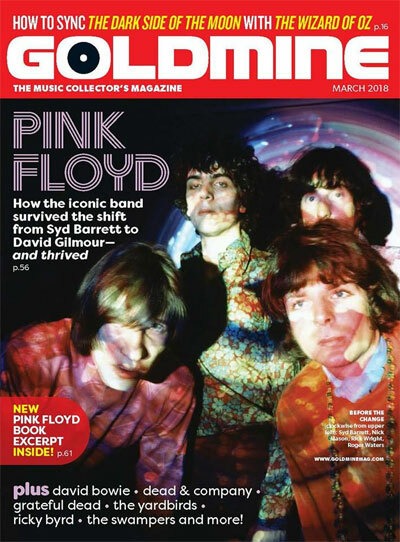 Goldmine Magazine will publish an exclusive excerpt from Reinventing Pink Floyd in its February issue; I'm also writing a feature for that same issue, focusing on Syd Barrett's music with and after Pink Floyd. The book is currently with the Production Editor. When published in February 2018, Reinventing Pink Floyd will be available in both hardcover and e-book versions. I'm currently in the process of scheduling bookstore events in connection with the book; as these are confirmed, I'll post a complete and updated list of events. I'm very pleased to announce that the foreword for Reinventing Pink Floyd is being written by Jerry Shirley. Most well-known as the drummer for Humble Pie -- the band that released the staggeringly-successful Performance: Rockin' the Fillmore in 1971, Jerry is also notable as one of the short list of friends and session musicians who played on Syd Barrett's pair of solo albums, Barrett and The Madcap Laughs. Jerry was interviewed extensively for the book -- especially the chapters on Syd -- and he's a longtime friend and fan of Pink Floyd, having seen them on every single tour. He's also an accomplished author himself, having penned the 2011 memoir Best Seat in the House. Jerry's foreword will be an important addition to Reinventing Pink Floyd, available February 2018. 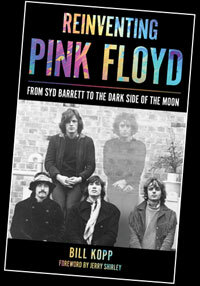 The publication date for Reinventing Pink Floyd: From Syd Barrett to The Dark Side of the Moon has been revised. Originally scheduled for publication in May 2018, the new street date is now set for mid-February 2018. The new date dovetails nicely with the March 1, 2018 anniversary -- 45 years -- of the release of Pink Floyd's monumental album The Dark Side of the Moon. Reinventing Pink Floyd is due to my publisher, Rowman & Littlefield, on September 1. That's two weeks from today. I've finished writing it. All of the interviews are complete, and the manuscript is close to finished; on September 1, off to the publisher it goes. Some of the people kind enough to be interviewed for Reinventing Pink Floyd include Robyn Hitchcock, Ron Geesin, Steve Howe (Tomorrow, Yes), Davy O'List (The Nice), Pink Floyd's original manager Peter Jenner, Jerry Shirley and Willie Wilson (both of whom played on Syd Barrett's solo albums), Yogi Lang (RPWL), �Floydian Slip� syndicated radio host Craig Bailey, music journalist Lon Goddard, and members of tribute bands The Machine and Australian Pink Floyd. Next comes editing and planning of book tour, readings and so forth. I just spent an hour on the phone with Peter Jenner, the original manager of Pink Floyd and Syd Barrett. He told me so many fascinating stories that I'm going to have to do some serious revision to the early chapters of "Reinventing Pink Floyd." But I am thrilled at the prospect. I was the guest on yesterday's edition of "Closer to the Edge" on Asheville FM 103.3 with host JD. An audio archive of the episode is available HERE. Between songs we chat about Pink Floyd, and I do a couple of readings from the book. Enjoy!